Few celebrities in the world have had a career quite as diverse as Arnold Schwarzenegger. 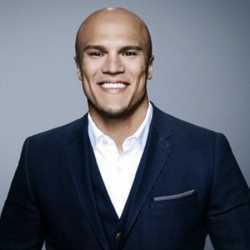 The Austrian-American star is an actor, filmmaker, businessman, investor, author, philanthropist, politician, a former bodybuilder as well as a powerlifter. He started lifting weights at the age of 15 and by the time he was 21, Arnold became the youngest Mr. Olympia in the history of the contest. With all the hard work and passion, he was considered one of the greatest bodybuilders of all-time. 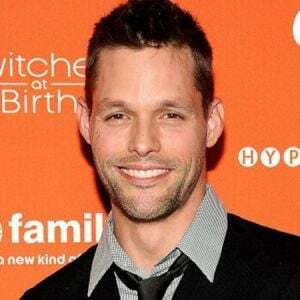 Talking about his acting career, he is notable for the role of Terminator and his performance helped earn the title "22nd greatest villain" and "48th greatest hero" of the last 100 years in the film on AFL's "100 years, 100 heroes and Villains" list. Schwarzenegger is also a reputed politician, as a Republican, he was first elected on October 7, 2003, in a special recall election to replace then-Governor Gray Davis. In 2011, after completing his second term as governor, he returned to acting. He is also famous for his unique nicknames. During his bodybuilding days, he was named "the Austrian Oak", while he was a Governor, he was called "Terminator" and "Arnie" during his acting career. Arnold Schwarzenegger was born on July 30, 1947, in an Austrian village Thal into the Catholic family under the zodiac sign Leo. His parents especially his father Gustave Schwarzenegger was very strict to the children. Back then in Austria, it was a different world where if the children did something bad or disobeyed their parents, the rod was not spared. His father was a local chief of police and even had served in World War II as Haupltfeldwebel after joining the Nazi Party in 1938. Gustave was reported that he had beaten Arnold many times also he put his two sons against one another. Gustav even ridiculed Arnalad's early dream of becoming a bodybuilder. 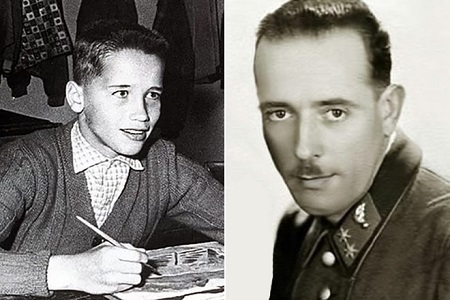 Because of hatred for his father, Arnold didn't attend father's funeral who died in 1972 also his brother who died in a car crash on May 20, 1971. Arnold was not the favorite child, his father Gustav paid more attention to the elder son Meinhard. Arnold has to do household chores before going to school so he had to wake up at 6 a.m. It is said that he was stemmed for unfounded suspicion that he was not Gustav's biological child. Arnald had a good relationship with his mother and was in touch with her until her death. 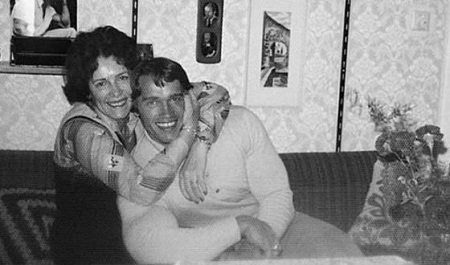 Arnold's father wanted him to be a police officer and mother wanted Arnold to attend Trade school. At school, Arnold was reportedly academically average but he stood out for his "cheerful, good-humored, and exuberant" character. 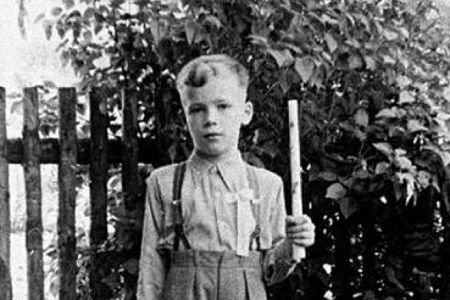 Arnold played several sports which were heavily influenced by his father, He picked up his first barbell in 1960 when his soccer coach took his team to a local gym where he lifted the bar for the first time. Arnold chooses bodybuilding over soccer as a career when he was at the age of 14. 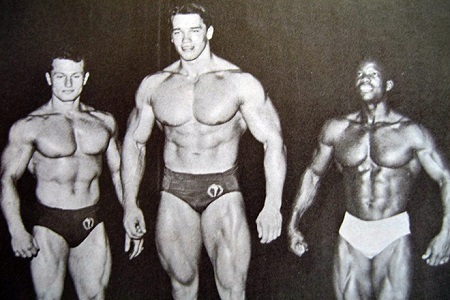 When Schwarzenegger was at the age of 14 he started an intensive training program with Dan Farmer, studied psychology at 15 to learn more about the power of mind over body, and at 17 he officially started his competitive career. Arnold always wanted to go to the USA and his bodybuilding career gave him a chance. He moved to the united state of America in 1968 when he was 21 years old and made a new home in California. "I actually started weight training when I was 15, but I'd been participating in sports, like soccer, for years, so I felt that although I was slim, I was well-developed, at least enough so that I could start going to the gym and start Olympic lifting." In 1961, Schwarzenegger met former Mr. Austria Kurt Marnul, who invited him to train at the gym in Graz. He was very dedicated as a youngster that he broke into the local gym on the weekend so he can train even when it's closed. He said: "it would make me sick to miss a workout I knew I couldn't look at myself in the mirror the next morning if I didn't do it". In 1969, Arnold participated in the Mr. Olympia Contest and at the age of 23, Arnold became the youngest Mr. Olympia in the history of the contest( this record has not been broken till 2019). In 1975, after getting another victory at the Mr. Olympia contest he announced the end of his professional sporting career. In 1970, Arnold started an acting career following the path of famous other body-builders including his idols Reg Park and Steve Reeves. It is reported that at the beginning, producers were afraid to invite him. Arnold's strong accent, swell muscles that looked unnatural on the screen and the "sesquipedalian" last name of the beginning actor terrified them. However, after lots of struggles, he finally got his first break and appeared in the movie Hercules in 1970. Because of his accent, another actor voiced all character's line and the pseudonym of Arnold appeared in credits even on the posters too. 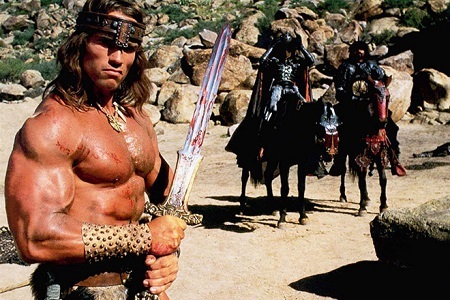 Arnold became successful after the release of the film "Conan The Barbarian" in 1982 with its sequel "Conan The Destroyer" on 1984. From this film, he won women's hearts and became the idol for many young people and finally received as the superstar. When the fantastic action film The Terminator was released he became more recognizable with a word Terminator. Like this, he has appeared in many successful films such as Commando (1985), The Running Man(1987), Predator(1987), Red Heat(1988) and Total recall(1990). 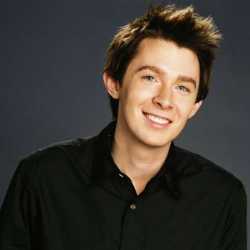 After a while, he wanted to prove that he can do much more like a complete actor and started to act in comedies. Arnold became the absolute favorite of the audience and critics, a newspaper called him the most famous immigrant who could "overcome deep Austrian accent and fell outside the plain limits of bodybuilding to become the brightest star of the global cinematography of the 90s". In 2003 when the Terminator-3: Rise of the Machines came out he left the acting world for a time being to start politics. 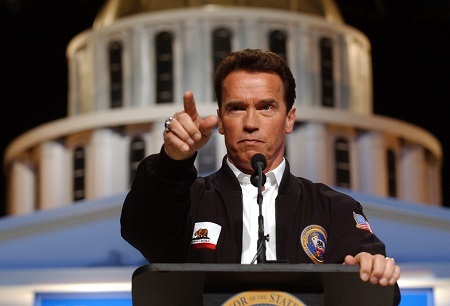 In 2003, Arnold became the 38th Governor of California which he had to encounter the powerful opposition that managed to reduce his popularity to a large extent. Five days before voting, competitors held dark PR campaign against Arnold which in a short time six women announced about sexual harassment by him. 24 hours before voting there were fifteen more women with the same reason which made candidates rating significantly dropped. Arnold hired a private detective to investigate those false charges after his appointment. Arnold was re-elected in 2006 and worked as a Governor until 2011. During the pre-election campaign of the president of the USA in 2016, he supported John Kasich who was the candidacy of the Republican. But then another Republican, Donald Trump reached the final of the presidential election, Arnold refused to vote in his favor. That was the first and last time when he didn't support the Republican candidate after he received American citizenship in 1983. 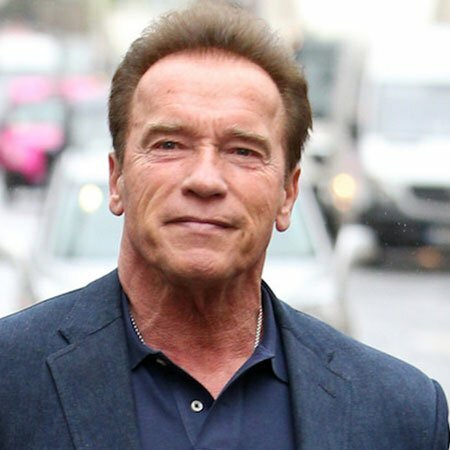 71 years old Arnold has made a hefty income over his life after being a politician. More than 50 years in sports, entertainment and political arenas, he has made enough money to buy all his dream houses and cars. 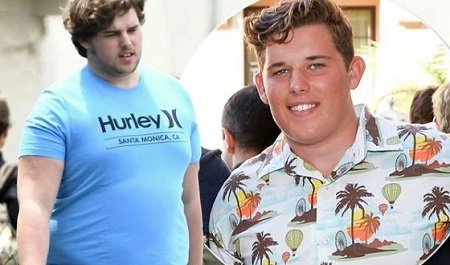 He owns a 10,000 square foot Mansion in California's Pacific Palisades. The house named Mediterranean villa was built in 1982 and remodeled after Arnold purchased it. At 2.48 acres, the home features 9.5 bathrooms, 9 bedrooms, large swimming pool, and a championship sized tennis court. According to Town & Country, he made his first million way back in 1968. At that time he went to America with just $27,000 within a year he made $1 million thanks to some smart real estate investments. Arnold even told that "Buildings that I would buy for $500,000 within the year were $800,000 and I put only maybe $100,000 down, so you made 300 percent on your money." 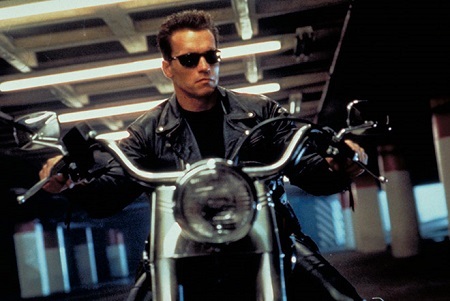 Arnold has made $75,000 from a movie Terminator. But the studio made up for it in 2003, to appear in Terminator 3: Rise of the Machines the studio paid about $30 million to Arnold. His net worth is about $400 million according to Bankrate. He is currently filming a Terminator revival slated for November 2019. In 1969, he met his first love who was a reacher Barbara Outland Baker but this relationship didn't last for long and they break up in 1974. Barbara wanted to build a family where Arnold wasn't ready for that. In 1975 he started dating a hairdresser Sue Moray he met her on a beach. They had an open relationship, they were both in Los Angeles but they were free to do whatever they wanted when Arnal was out of town. In August 1977 he started dating Maria Shriver while he was still with Moray. 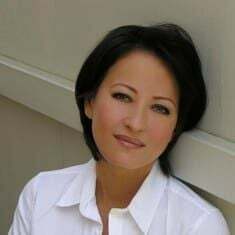 Maria is a television Journalist who was a niece of the killed President John Kennedy. He made a final decision and choose Maira to be his wife. Don't Miss: How is the personal life of Arnold's ex-wife Maria Shriver going on after their divorce? After choosing he still continued dating other women for a while which was an actress Brigitte Nielsen. 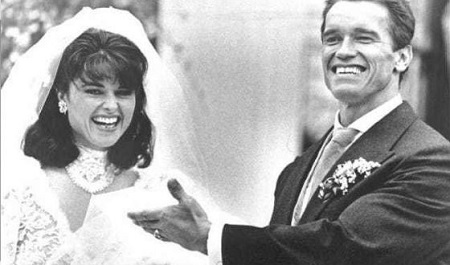 On April 25, 1986, Maria Shriver and Arnold Schwarzenegger got married. They had four children, the oldest daughter's name was Katherine Eunice Schwarzenegger born on December 13, 1989. She got engaged to one of the Hollywood popular actors Chris Pratt in 2019. 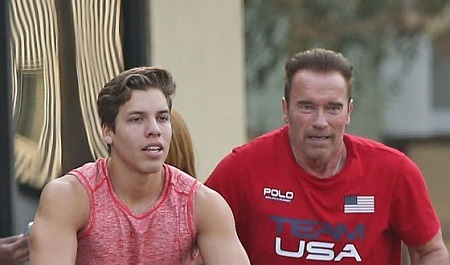 On July 23, 1991, Christina Maria Aurelia Schwarzenegger was born after two years on September 18, 1993, their first son Patrick Schwarzenegger was born. Christopher Sargent Shriver Schwarzenegger was born on September 27, 1997. Arnold was a perfect husband and father in the eyes of four children but it last until the end of the gubernatorial term in 2011. Maria took all four children and moved to Kennedy's private residence and two days later Arnold officially announced their decision of breakup. 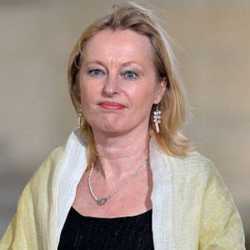 Maria also settled her private life but officially the couple didn't complete their divorce procedure. On October 2, 1997, Joseph Beane was born by the housemaid Mildred Baena who worked for Arnold and Shriver's house for 20 years. In July 2015 Arnold started dating a doctor in sports medicine named Heather Milligan who was 27 years younger than him. Age: As of 2019, he is 71 Years old. Height: He stands tall at a height of 6 feet 2 inches (186cm).